We all know Ian. We all know Dawn. And we all know Cathy. But what are some other Aussie Olympic medallists that can give you inspiration when searching for a baby name? We’re counting down our favourite names of Aussie Olympians over the years and these ones are certainly worth a place on your baby name podium. After all, what child wouldn’t love to be named after an Olympian? Aussie heroes are all around us. But none are quite as inspirational as our Olympians who, over the years have conquered all sorts of challenges, have shared beautiful stories and have impressed not only our own nation but the entire world with their tenacity, dedication, perseverance and humility. This is what makes Australian Olympians so amazing. And all of these adorable names belong to the Aussie Olympians who have proudly waved the Australia flag and been awarded with a medal. 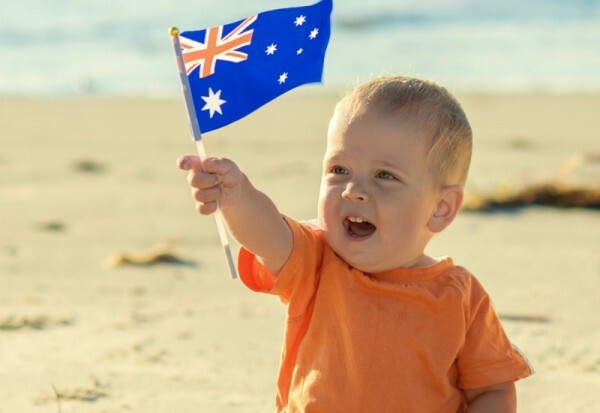 There are more than 240 Australian gold medallists but these are the names that ring the cutest, especially for the next generation of talented tots. More than 350 bronze medallists call Australia home. Here are our top three finalists in terms of cute names to steal for your own bub. Mack Horton has already won the first gold and there are 417 other Australian Olympian hopefuls competing for a place on the podium. Here are a few more names to inspire our next generation of green and gold supporters. Good luck to all of our athletes over the next two weeks and good luck to all expecting parents who are making the momentous baby name decision. Check out our baby name archives for thousands of other great contenders, from popular to unique, from traditional to trendy (and everything in between).